Its the last few days of our competition. So why not enter now and tell your friends. The more you share the more chance you have to win. Go ahead and enter our competition to win a fantastic 2 night stay in Le Touquet. If you have entered already like our page or share on facebook to gain more entries to the competition. 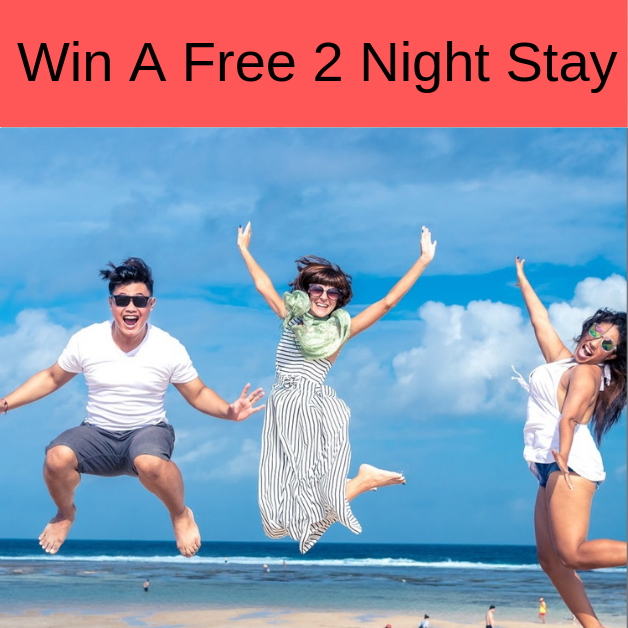 Click below to find out more and enter. 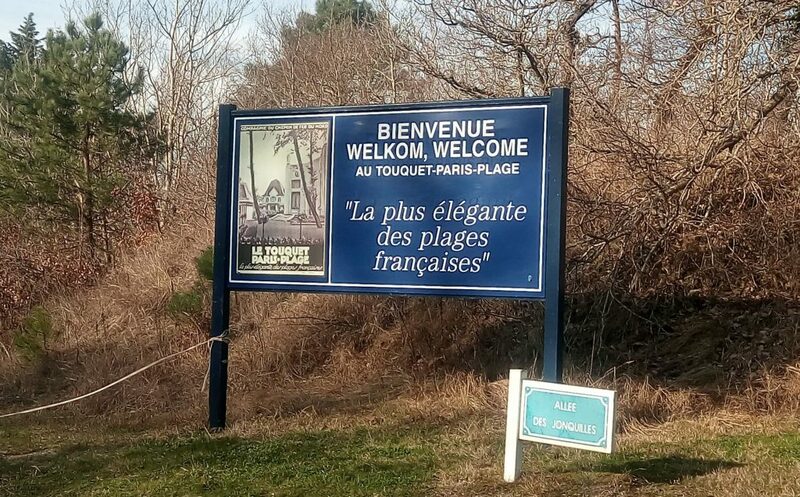 Le Touquet – likes to publicise its fantastic beaches and quite rightly so. An assortment of signs on the drive into this pretty seaside town ensures you won’t leave without visiting such a fantastic stretch of open sand. The main beach has so much more to offer rather than just swimming. There are many recreational activities available such as beach clubs for the kids, Volleyball courts, and crazy golf. Numerous beach bars can be found below the promenade, perfect for taking a break from a hectic day at the beach. 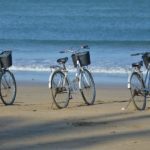 There is plenty to do for all ages, hire a bike, go sand sailing or maybe have a go at wake boarding. Alternatively why not try the slides and rapids in the Aqualud water park right on the beach. Life guards make sure you are safe. 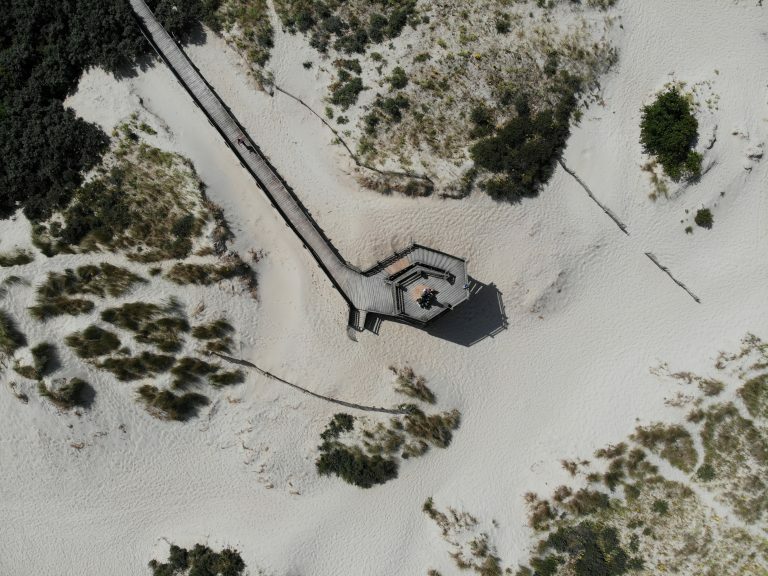 The central beach is monitored daily from 10:30 am to 7 pm in summer. You will find plenty of parking available. Have fun at the beach in Le Touquet! Bagatelle Theme Parc Opens April 6th. 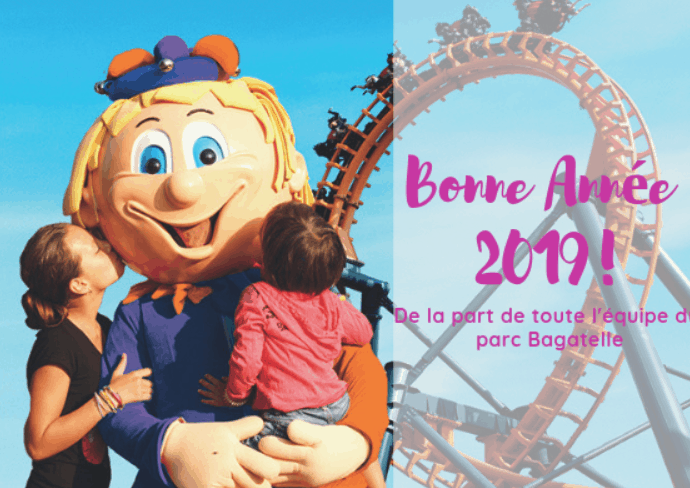 Fill up with family fun at the Bagatelle Theme park with over 40 attractions and shows. 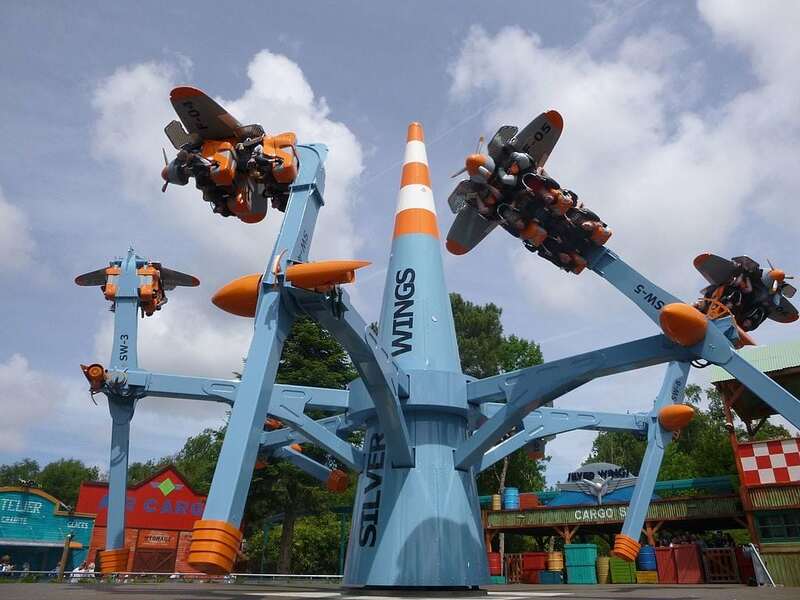 A perfect crazy family day out that won’t break the bank. With tickets from around €19.00 it offers great value for money. 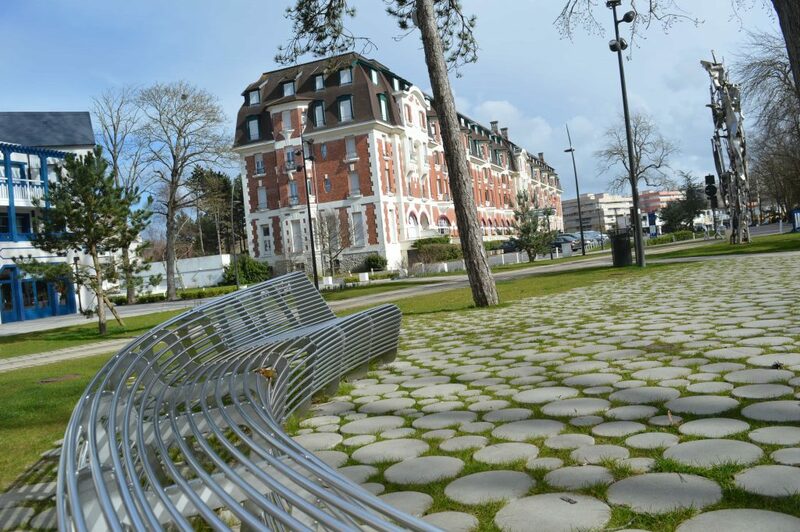 Bagatelle Theme Parc is just a short 15 minute drive from many of our holiday rental properties in Le Touquet. Baggy land for small kids. 10 attractions for the little ones including a Ball Pool, Adventure trail, Kidz Coaster, The Captain Baggy. A children’s swing boat echoing the larger Pearl Bag ride for Adults. 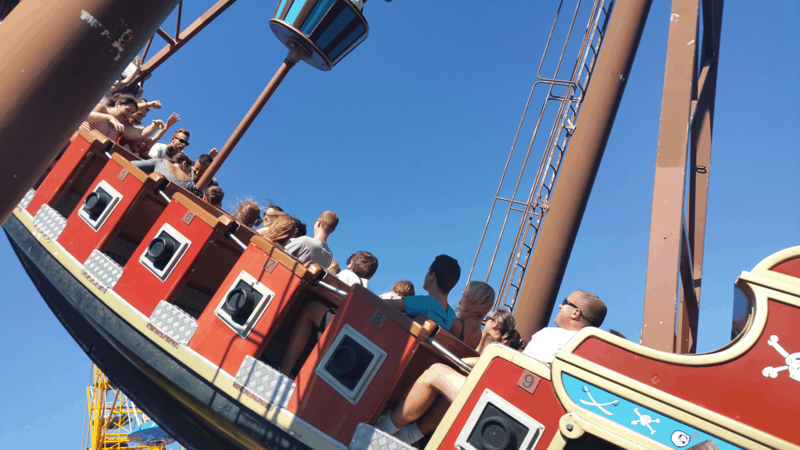 Baggy Fun – A good dose of thrills 9 attractions for the more adventurous! One of Bagatelle’s flagship attractions welcomes you for a thrilling round trip. 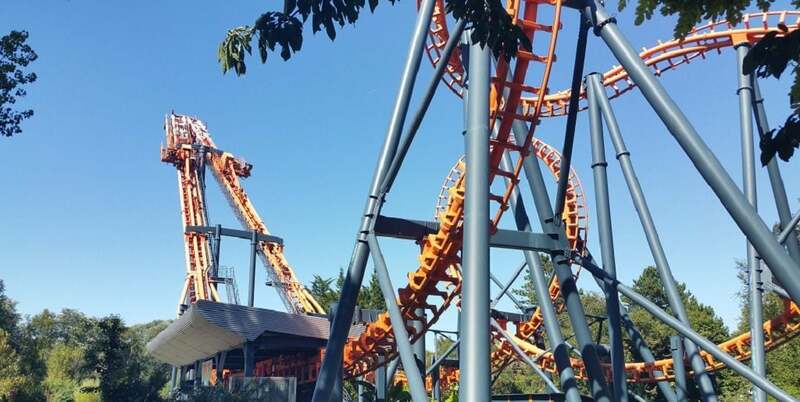 45 meters high, 2 tendrils, 1 looping, all suspended in the void! No trip to Bagatelle would be complete without getting wet at least once! A nice gentle ride on the river in a wooden log with a 10 m drop at the end – great fun for everyone. Bagatelle Amusement Parc is open daily from 10:30 AM. 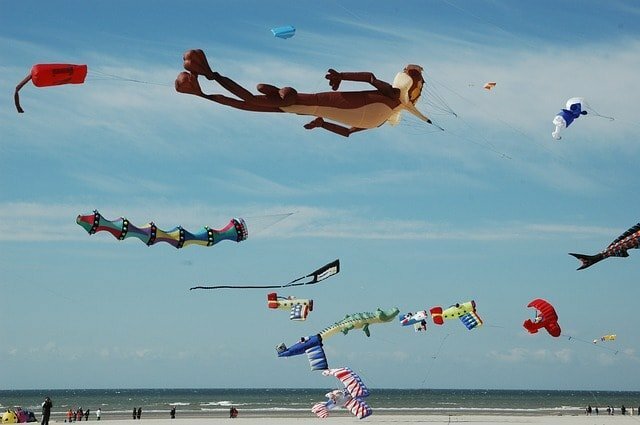 The International Kite Festival has taken place in Berck-sur-Mer for over 25 years. This year’s 33nd RICV event takes place from Saturday 6th to Sunday the 14th April 2019. Over the years it has become an event not to be missed on the Côte d’Opale. For 8 days in wind and sea enthusiasts, athletes or thrill-seekers can admire many giant kites, each with its own unique design. Due to the numerous visitors during the festival days and the high demand for accommodation it is recommended to check availability and book rooms well in advance. Almost 700,000 spectators come to the vast Berck-sur-Mer beach to marvel the world’s best kite-makers’ new creations. Open to everyone, there is entertainment for all ages. Children can learn how to make and fly kites in a safe environment. Marine life, astonishing flying creatures, giant octopuses, even memorable cartoon characters drift across the sky. A colourful festival where you have your feet in the sand and your head in the sky. Every Spring, the skies above the beach of Berck-sur-Mer explode with colour. Kites line up in well orchestrated displays for the crowds. Berck-sur-Mer is pretty seaside town 40 minutes from Calais. Is is also a short 25 mins drive from our holiday rental accommodation in Le Touquet. 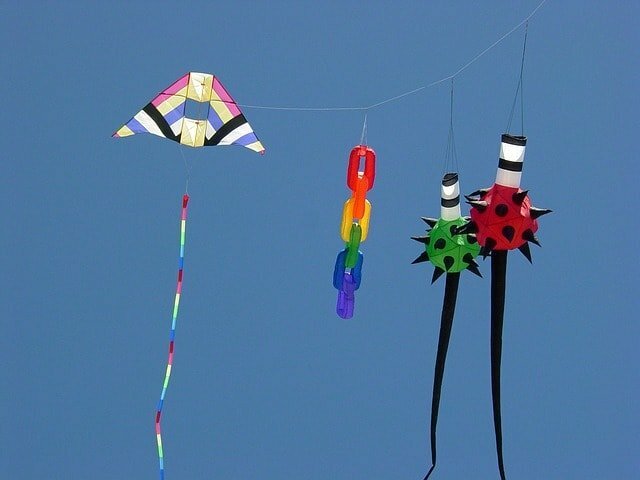 The Kite Festival takes place on the beautiful sandy beach, its a great thing to do for all members of the family young and old. If you can’t make it to the event then why not peek at the Live Webcam on the beach. One of the favourite things to see at the Berck sur Mer kite festival are the flying battles between experts. International teams from all over the world come to take part in this colourful spectacular. On the last evening there is a night time flying display backed up with a firework show. There are many stalls at the event with Kites from many countries. Learn the history of kites or feast on the explosion of colour. There are fantastic activities for kids. You not only make kites but get to have a go at flying some of the more exotic designs yourself. . For more information about the event visit the organisers website. Le Touquet is a great base for visiting the Kite Festival and local attractions. Go swimming in the Aqualud, visit the Aquarium in Boulogne (Nausica) try some Sand yachting in Le Touquet, visit the maze at Laby’Parc. If you are coming to the kite festival we currently have plenty of accommodation in Le Touquet just 25 minutes drive away. Trail Des Deux Baies on the 27th January 2019 marks the 12th year of the event. The D2B Trail is a nature run along the coastline of the Opal Coast. Its special features include sand dunes and harsh weather. Its a challenging course made for adventurers. You can pick your race depending on distance and ability, there are 4 races. the marathon des sables or the ultra-trails on a demanding course. A trail of 22km accessible to as many people as possible. An 11km short trail as well as a golf course. A 3km short trail for the young competitors. For your convenience, shuttles buses at the price of €3 will be available Le Touquet -> Berck. You may also wish to take note of the Le Touquet Parking Plan. 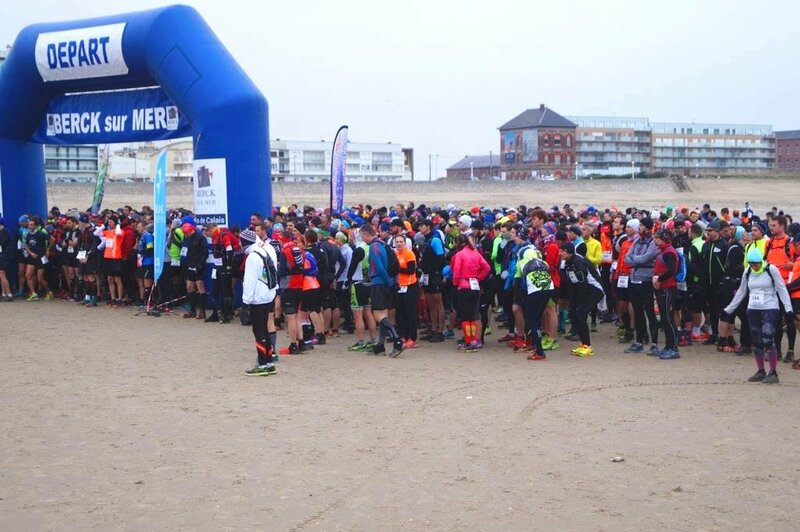 Last year over 2,200 participants came to let off steam on the Opal Coast. With over 1200 runners already registered time is running out if you want to book your place on this great run. There two mythical bays of the region which offer the participants and the numerous spectators breathtaking landscapes! If you have not booked your accommodation in Le Touquet then take a look at our website. We still have a few apartments and houses still available. For example our Colomberaie Apartment situated in the heart of Le Touquet – would be an ideal base for your running weekend. You can register online for the 2019 Trail Des Deaux Baies by visiting the organisers website. Air Bnb in Le Touquet has many holiday villas and apartments to rent. Started 10 years ago Air BnB has become a major player in the private room and holiday rental market. With novel ideas and practices they have changed the way in which we all book our holiday accommodation. 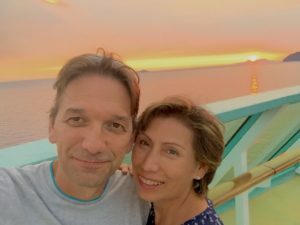 Instead of owners paying a flat fee to advertise most Online Travel Agencies (OTA’s) now charge a percentage to the owner for every booking plus a service charge to the guest. If you enquire about an Air BnB in Le Touquet the breakdown of pricing when you book is very clear. But what could you be paying by booking direct with the owner ? or maybe its cheaper via another advertiser? The truth; its’ that pesky service fee that all the OTA’s charge to cover their costs and make profit which bumps up the cost of your holiday. Nothing wrong with that, they are in business and need to make a profit. But how is the service fee derived for a guest? it is unclear how this is calculated. As a holiday home owner in Le Touquet this time of year see’s us updating prices and checking our advertising for the busy holiday rental booking season. It is generally reported that most sites see around a 17% increase in the level of enquiries between Boxing day and the end of January. Typically we check our prices across all the advertising channels. 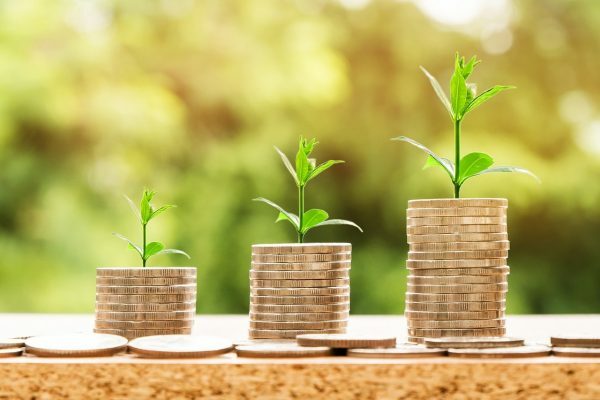 Looking at one of our properties for a weekend in March 2019 revealed a range of service fees. The service fee from Home Away was £68.40 and Air BnB £90. So that’s what the holiday maker will pay as an additional charge. But don’t forget the fee that Home Away and Air BnB charge the owner for each booking. Typically 5% for Home Away and 3% for Air BnB. So on this £500 example rental that would be £25 for Home Away and £15 for Air BnB. So booking via Home Away or Air BnB in Le Touquet is unlikely to be the cheapest option available. So wouldn’t it be great if you didn’t have to pay a service fee? In my £500 rental example above you would have paid approximately £400 for the same property booked direct on our website. You will receive a very personal service and be able to talk to us directly before booking so that you are 100% happy. To check all of our prices and availability for next year please visit our booking page. The Le Touquet Rally 2019 is rapidly approaching. It is the 59th Rally of the town Registration opens soon for what promises to be an exciting 3 days. The rally is the 1st round of the French championships and is always a great way to start the season. With the addition of the Junior and Renault Clio R3 trophy it should be fantastic. The roads are characteristic of the Pas de Calais region, dust or mud according to the weather. Drivers experience both narrow and fast roads with some particularly impressive big jumps. 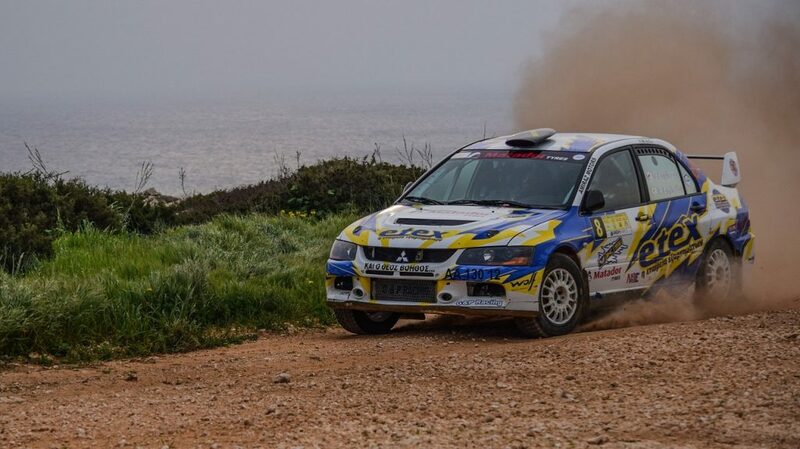 The stages are generally short 13 – 15km and some take place on Friday night. 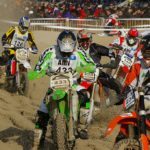 Popular sections of the race for spectators are located at Clenleu , Bourthes, Camiers, or Beussent and of course the beachfront event in Le Touquet. The Rallye Automobile Le Touquet is a popular event with around 100,000 attending over the 3 days depending on the weather. Its a popular friendly atmosphere so go along and enjoy the race. If you are attending the event and haven’t yet booked your accommodation then why not check availability on our website. Villas and apartments available giving you a little more freedom and space than a Hotel. 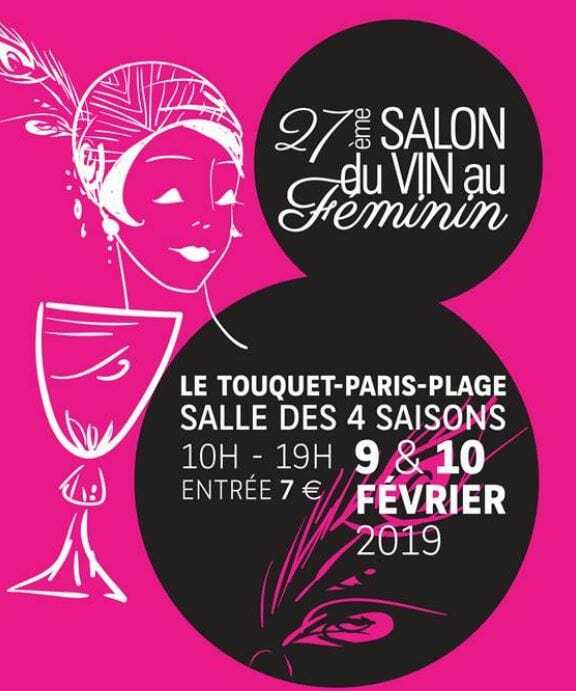 Organised by the Club du Vin au Féminin. 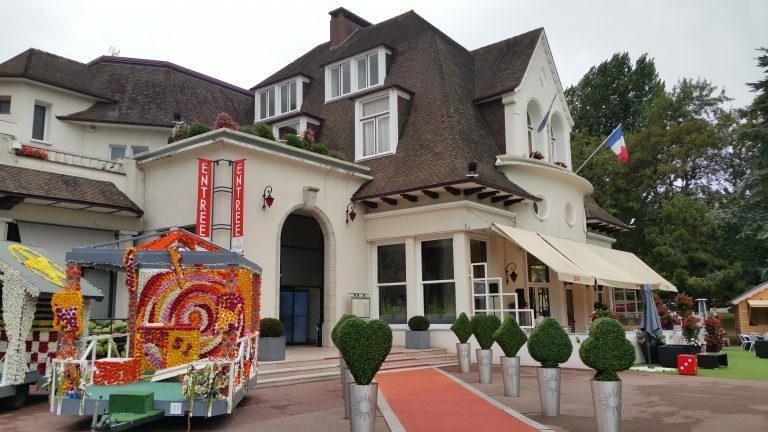 The Le Touquet Wine Festival brings together 85 exhibitors presenting the wine and gastronomic wealth of France. Many appellations are present: Alsace, Loire, Jura, Champagne, Languedoc, Bordeaux, Provence, Rhone Valley, Burgundy, South West … from the most prestigious to the newcomers all is to discover. The 35 members of the Wine Club au Féminin, all dressed in pink and black, welcome you and guide you during the show. This year marks the 27th anniversary of the wine festival and upwards of 4000 visitors are likely to pass the gates. Visitors have plenty of time to chat with those who have worked the vineyards and know their product. Wine growers present their know-how and offer advice on tasting, conservation or even food and wine pairing. Taste buds will be buzzing with a wide range of regional flavors. From foie gras to cheeses and chocolate, gourmands appreciate the many on-site delights. Why not book one of our apartments or villas. 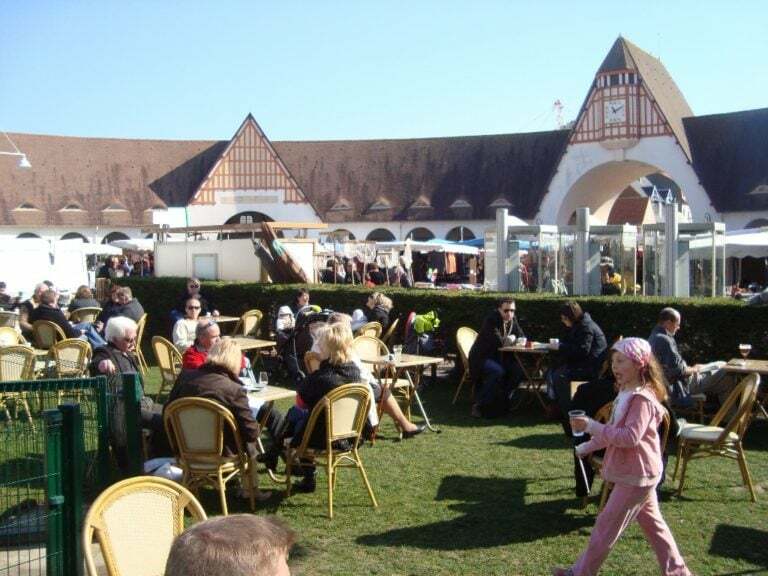 Sample some of the great wines the Le Touquet Wine Festival has to offer. Regarded as the world’s premier wine making country, France produces eight billion bottles every year. Foreign wines get labelled according to the grape used. French wine is identified by the soil on which the grapes are grown. The term “terroir”, often heard in conversations about wine translates, as the specificity of place. This has come to include not only the soil in a region, but also the climate. This is why the same grape variety that is planted in different regions can produce wines so different from each other. Of course your doctor advises you to drink wine in moderation. 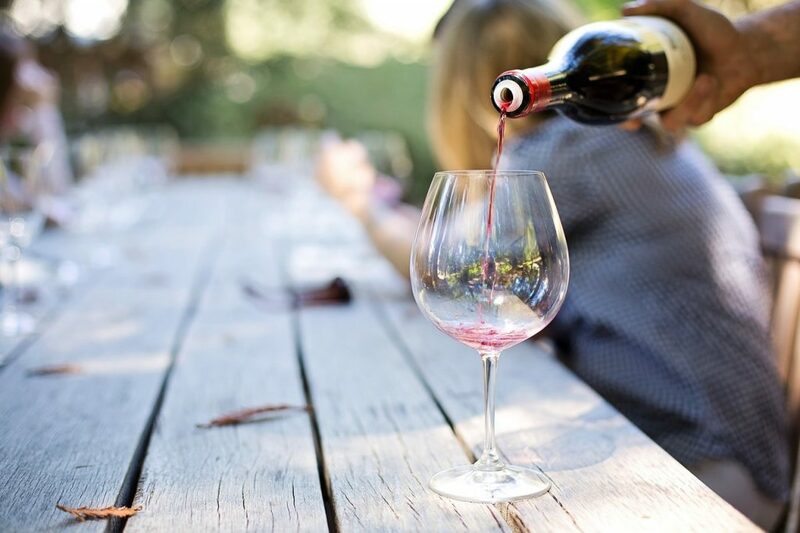 Several human trial’s have shown moderate red wine consumption to be better for you than not drinking at all. The antioxidants found in red wine lower incidences of cardiovascular disease, mortality, and type-2 diabetes. 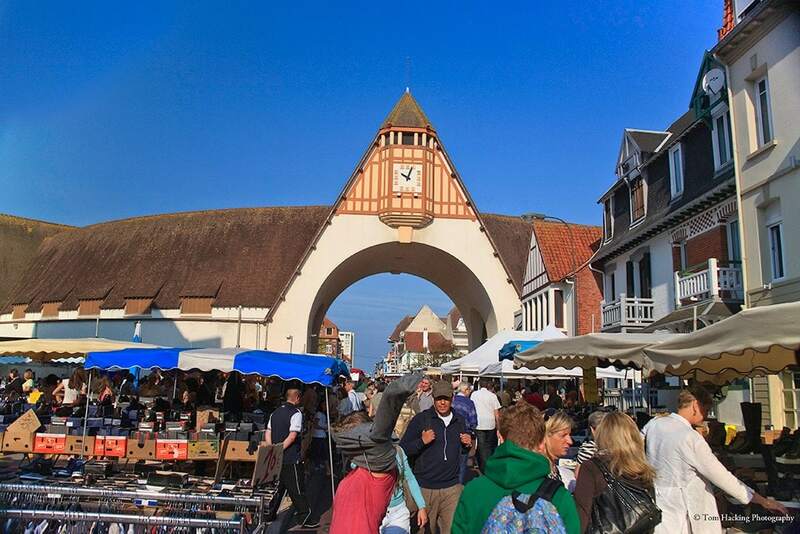 The sophisticated seaside resort of Le Touquet has many buildings listed on the historic monuments registry. There are grand art deco designs mingled in with 19th century thatched cottages, layered on modern interpretations of the art deco style. Le Touquet evolved to provide a playground for the rich and famous in the 1920’s and 30’s, Noel Coward was a regular visitor. You can visit the various buildings independently or join one of the regular walking tours organised by the tourist office – cost around €7. The Westminster Hotel was built in 1924, and is now the region’s last grand hotel of the era. It is hard to believe that Le Touquet used to have an even grander Hotel – The Royal Picardy Hotel. In its day the most luxurious hotel in the world – a place where apartments had their own private swimming pools. Opened in 1930 the Hotel was spread across 9 floors, and consisted of 120 lounges, 500 bedrooms plus 50 apartments with there own kitchens and butler. The Hotel was commandeered by Hitler and bombed several times, after the war ended it never regained its grandeur. The town demolished the remaining ruins in 1968 and the site is now a hotel school. This Casino was the inspiration for Ian Fleming’s first James Bond Book Casino Royal written in 1967. Other notable visitors were the “Dolly Sisters” identical twin dancer/ actresses who were blessed with good luck in the Casino’s of France. Reportedly Jenny Dolly won 4 million Francs in one evening in Canne. It is still a working Casino although mostly taken over by slot machines. 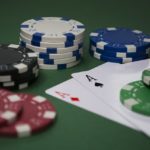 If gambling is not for you don’t be put off by the noise of the the Casino slot machines. There is an excellent restaurant with a varied menu which offers great value for money. Once a month proud owners of vintage and expensive cars park on the lawn for all to admire. I have never really worked out if this is just an excuse for owners to photograph their car with a great back drop or easy parking for a long lunch. One of the finest features of Le Touquet is the town hall or Hôtel de ville as it is also known. Still a working centre of administration its is difficult not to admire this grand architecture especially at night when it takes on another dimension. Built around 1928 the construction was financed by the income from the town’s casino after just one year of trading. One of my favourite buildings in the heart of Le Touquet next to the police station and post office. Le Mascaret is a imposing Edwardian building constructed in 1905. When you visit be sure to make a purchase in the wonderful fish shop close by. The post office next door is unusual with its bell tower and yellow paint. The Village Suisse Restaurant located in the heart of Le Touquet in an area that carries the same name. 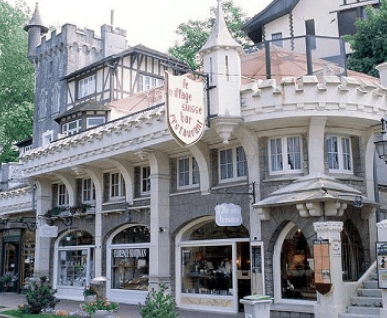 In 1906 Mr. Perret-Maisonneuve, assisted by the architect Bertrand, built a village on the dunes of Le Touquet-Paris-Plage which was to remind him of Switzerland. Close to the Westminster Hotel. The covered market was built in 1931-1933 in the neo-regionalist style, in the form of a semicircle. The south wing was converted in 1960 to accommodate a fishmonger. The Marche Couvert is a very impressive building. Food stalls in the permanent covered market are laden with the fresh vegetables, local cheeses, jams, sweets,great fish and home produced goodies. My favourite is the spit roasted chicken with roasted potatoes, an ideal takeaway for lunch. The surrounding area flourishes into an interesting flea market. It is interesting to see that the style of architecture is being maintained even with newly built properties. A selection of vibrant properties have recently been built close to the Westminster Hotel. 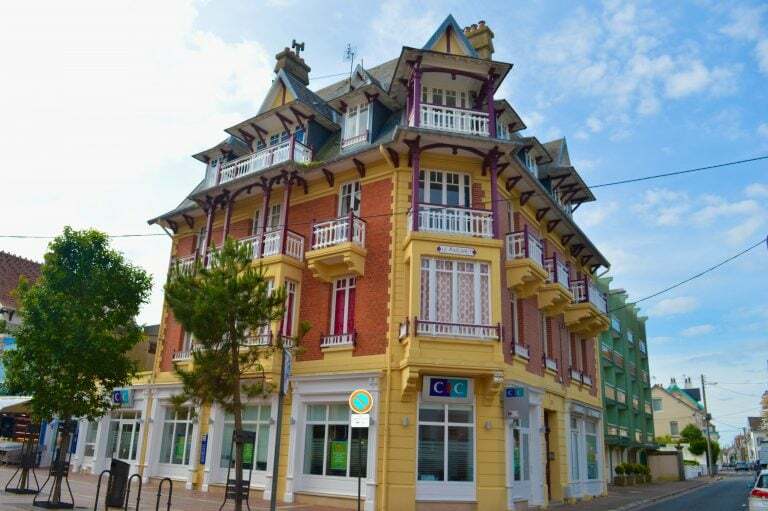 I have shown just a selection of the architecture in Le Touquet but you will find many interesting examples of your own. Such as the Villa Le Castel and the Church of Joan of Arc with its unusual wooden ceiling recalling an upside down ship. Many photo opportunities await so pack your camera for your historical tour of Le Touquet. Le Touquet-Paris-Plage has created a History Trail to discover 31 remarkable sites of its architectural heritage and history. Among these sites, the city can proudly present 20 buildings listed on the Inventory of Historic Monuments. 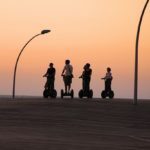 From the 1900s, the time of the Roaring Twenties, through the two world wars and the adventure of the 70s, to the contemporary period, the tour allows visitors to cross the twentieth century with a cultural walk or by bike. 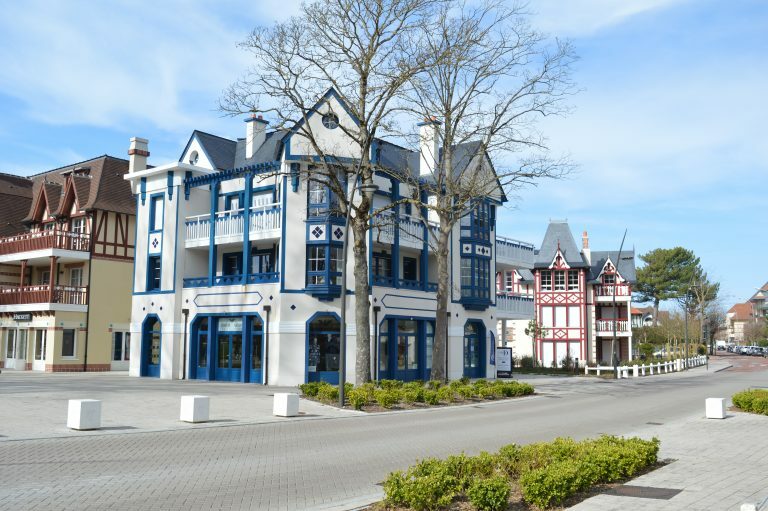 You will find lots more information about each building and the fascinating history of each by visiting the Le Touquet Museum website.